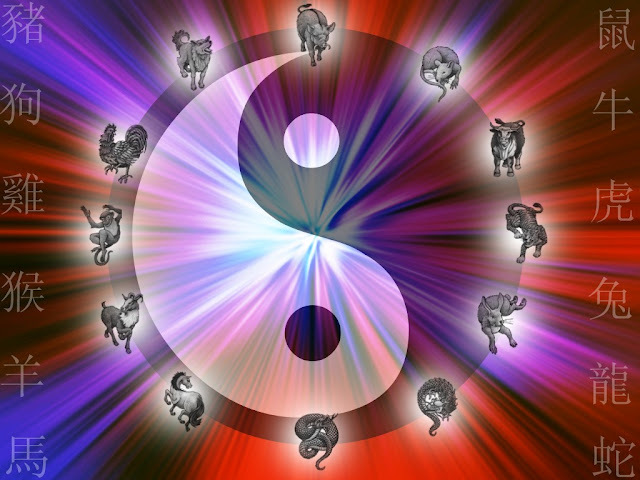 Like Western Astrology, Chinese Astrology also has 12 zodiac signs. The Chinese Astrology signs are however based on a Lunar or Moon year as opposed to a Solar or Sun Year. In determining Chinese Astrology Signs the year of birth is used as opposed to the date. The 12 Chinese Astrology signs are based on animals. Chinese legend has it that the great Buddha had invited all animals to a New Years Celebration but only 12 showed up. To give appreciation to the 12 that did show up, they are the 12 animals of the Chinese Zodiac. The 12 Chinese Astrology Signs are: Rat, Ox, Tiger, Rabbit/Cat, Dragon, Snake, Horse, Sheep/Goat/Ram, Monkey, Rooster, Dog and Pig. Corresponding to each animal is a possibility of one of 5 elements; Metal, Water, Wood, Fire and Earth are included with Chinese Astrology Signs. In Chinese Astrology Signs, the sign lasts one whole year as opposed to western astrology where the Sign lasts a month. In short it lasts one year in that sign and element and returns in 60 years in that sign and element again. Chinese Astrology is based on 60-year cycles from the cycle you were born in.